The art of coral grafting is very risky. It involves fragging corals, which if you have any knowledge on that know it can come with some dangers. They can contain toxins that could potentially kill someone. With proper safety you can cut any fraggable coral with confidence. Once you become a skilled frag master you can start to experiment with the pieces. Let me clear up the notion that grafting corals is the same as grafting trees. A coral will not be genetically altered, it wont grow weird hybrid polyps, and it wont actually form into the other coral, but put up a diving structure that merely looks like it was grafted. With that said, corals will however morph in color from close contact with other colors of the same species. 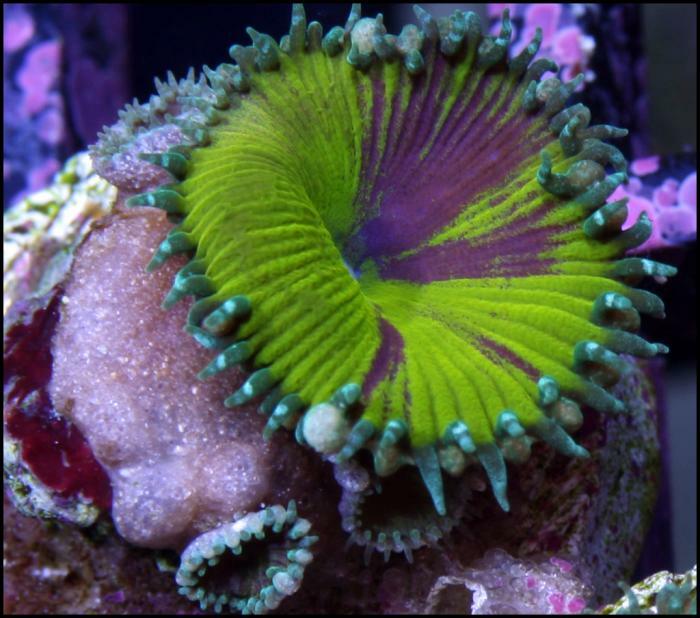 If you glue two zoas together the heads will grow together as a two-tone frag but may end up splitting down the middle into two polyps. Some corals will sting their neighbors when moved too closely while others can share a sleeping bag and get along great. Most of the time you can place similar corals next to each other and they do not get bothered. The easiest way to determine whether or not your corals will sting each other is by taking a frag of each and putting them so close that they touch. Give them a day or so to talk things over with each other. If they get along you will still have 2 frags when all is said and done. If they are not compatible you may end up with one or even no corals. If that is the case you can now try another combination until you get it right. The easiest corals to graft are ones of the same species. Now that you have two happy-to-know-each other corals you can plan the graft. Plating LPS corals are easy with straight cuts. Simply line the cuts up and glue them together. 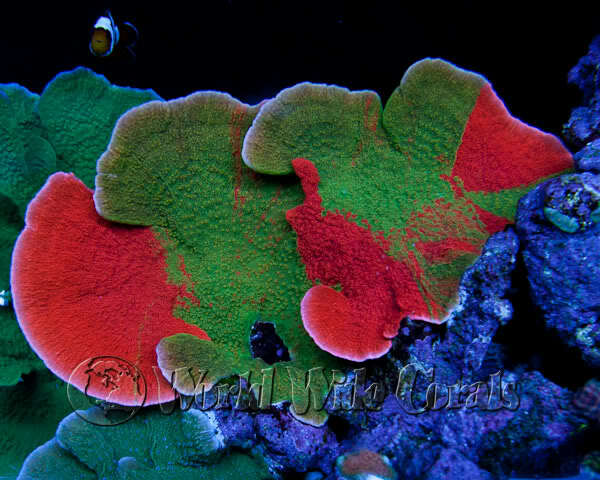 Acans are another easy coral to graft. You can just place various species near each other on a rock and they will grow themselves into each other and make some very interesting morphs. 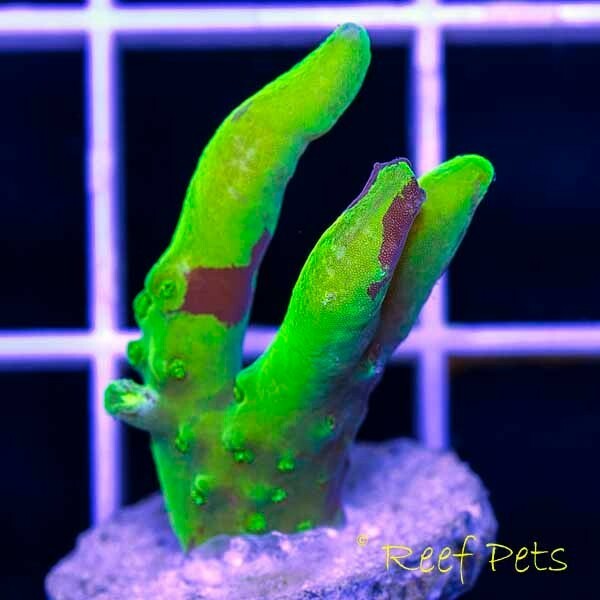 The trick with cutting is to make each cut on each frag so that it will easily lock into place with the coral you are trying to graft it with. If you are trying to splice zoanthids or palys you can cut the polyps in half long ways and glue them together. When gluing a coral to another coral you must understand its regrowth pattern. Does the coral encrust? Does it fluff up? When you glue LPS corals it is best to press them together at the skeletons where the cuts are. If you are gluing plating corals than gluing them to the rock will be your best bet and allow time to press them together. Acropora typed SPS can be glued at the base and the encrusting flesh will meet up after time and have some interesting unpredictable effects. When you place your frags you will want them as close to where they came from as possible until they are healed and ready to be acclimated to their permanent home. Always keep a good distance from other corals because there is still a chance they may try to sting each other. Keep future growth in mind along with how you will view your coral. Watch the frags. The place where they touch will be the place where the action happens. As the coral regrows and swells up it may change colors and do great or one of the corals may start to lose color and bleach out. If that happens you will know you cannot mix what you tried to mix. Worst case scenario, you lose two frags. 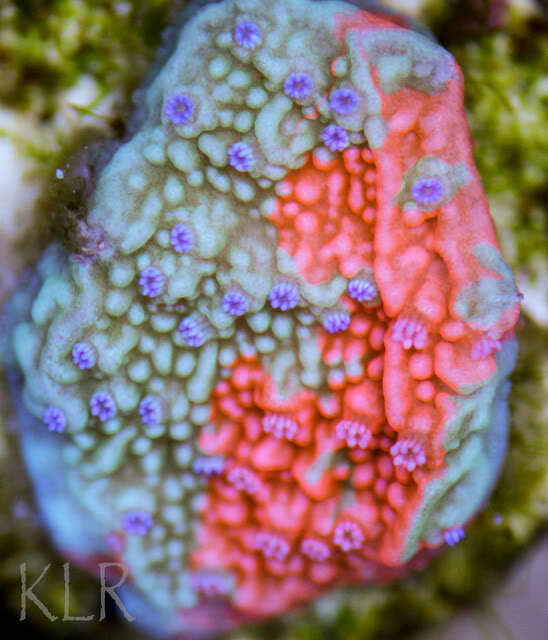 Best case scenario, you make a graft worth hundreds of dollars to those who love unique corals. If you made something cool and new you better name it!!!! People love creativity. The variants of colors you can create will be unique from other reefers due to variations in water chemistry and lighting. If you need help naming your coral there is an insane amount of people here who would be happy to give you ideas. In conclusion, grafting is risky to both you and the frags up for the test. Only do this after you have mastered keeping normal corals and have a developed hand for fragging. With the right help there is nothing you cannot do! Check out the (PROPAGATION FORUM) and post your grafting plans today!!! To comment and see what others are saying about this topic please click here!